Meet da Vinci’s Mona Lisa on a private tour of the Louvre. Gaze upon the opulent splendor of the Palace of Versailles. Discover France’s top wines with an expert sommelier. 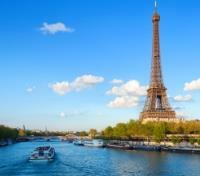 See the city’s monuments and beautiful bridges on a cruise down the Seine. 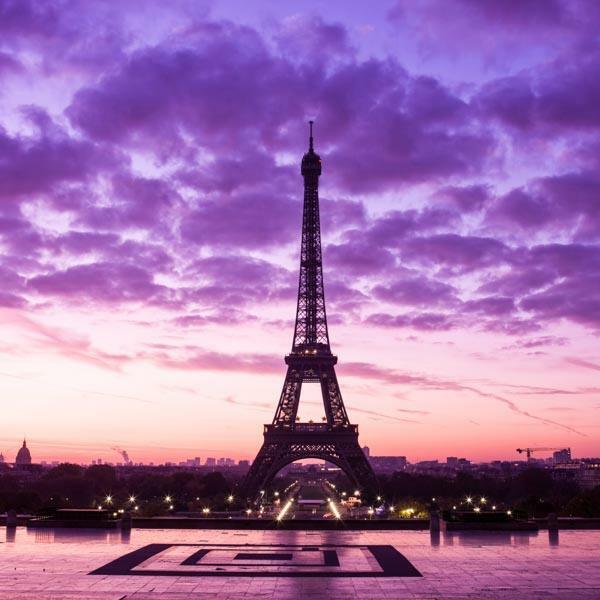 Paris is famous for the Eiffel Tower, its postcard-perfect streets, and its seemingly infinite list of landmarks and attractions. But the French capital is so much more than the sum of its many wondrous parts. 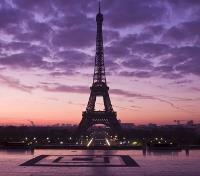 Paris has allure; a special magnetism that speaks to every visitor in a unique way. Romantics are drawn to the cobblestone streets of Montmartre, long a shelter for artists. Couples come for the sight of the world’s most romantic city lit up at dusk. Still others are lured here by their favorite pursuits: great wine, fine food, fascinating history, and legendary art. What brings you to Paris isn’t what matters; what matters is that you let it bring you. 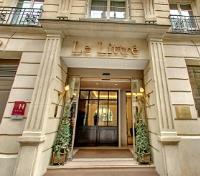 The charming Hotel Le Littre has a unique feel to it which radiates peace and tranquility to all its guests. 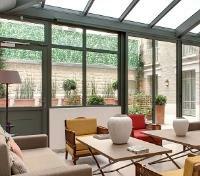 Located in the heart of Paris, but tucked away from the unnecessary bustle, Hotel Le Littre occupies an ideal spot between renowned Saint Germain des Prés and Montparnasse districts, close to the iconic cathedral of Notre-Dame. Classic elegance perfectly complements the warm atmosphere; whether in the cozy bar, the winter garden, or in your modernly furnished guestroom with a classic-contemporary decor, the hotel is designed to make you feel at ease. When night falls, you have Paris theaters nearby, and the popular brasseries of the Left Bank to satisfy your senses with the delights of French cuisine. Make your way to a wine cellar in the heart of Paris where you'll meet a professional sommelier and join a small group of up to 24 participants for a fun, interactive and informative wine tasting activity, where you’ll taste six different wines, coming from 6 different regions of France. 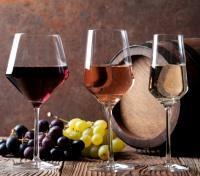 From Champagne to Bordeaux, from Sancerre to the Rhone- just sit back, relax, enjoy and have fun. With a unique and refreshing approach, your sommelier will take you through a variety of themes to build up your wine knowledge. Discover how Champagne is made and how to taste wine properly. Talk through the main wine regions of France – the grapes they grow, the style of wine they make, and learn how to decode a French wine label. Uncover concepts like terroir or appellation. In just two hours, you'll learn a lot, and taste great French wines, free to return to your hotel or continue with an evening out afterward. Meet your driver-guide and transportation at your hotel and embark on an small group tour through Paris today. With no more than 8 participants, you'll first head to Montmartre where you'll stroll the narrow streets of the famous hilltop neighborhood, discovering the Sacre Coeur Basilica and the artists and portrait painters of the Place du Tertre. Next, your driver-guide will take you to the iconic Eiffel Tower. Head up to the second level of this 19th century wonder, and marvel at the unique panorama as you gaze across Paris. Your excursion ends with a public one hour cruise on the Seine River, to admire the monuments and majestic bridges from a unique vantage point. In an instance where ascending the Eiffel Tower is not possible, your visit to the second floor will be replaced by a view of Paris from the 56th floor observation deck of the Montparnasse Tower (690 feet up). 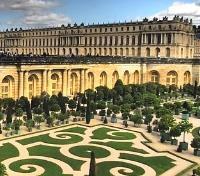 With a pickup at your hotel, embark on a half-day small group tour to Versailles, exploring the iconic palace with a driver-guide, and up to 8 total participants. One of the world's most illustrious monuments, the Palace of Versailles was the official residence of the Kings of France and their courts from 1682, until the French Revolution in 1789. With priority access, follow your driver-guide straight to the front of the line, entering this UNESCO World Heritage Site to visit the most beautiful rooms inside the palace: the King's Grand Apartments, with seven rooms dedicated to different gods, and the Queen's Grand Apartments, mirroring those of the king, which include the Coronation Room and the Queen's Bedroom, once occupied by Marie Antoinette, among others. Also, marvel at the sparkling Hall of Mirrors of Versailles, a large reception room in which to see and be seen, dreamt up by the celebrated architect Jules Hardouin-Mansart. Afterwards enjoy some free time to stroll through the palace's stunning grounds and formal gardens before a return transfer to your hotel. Meet your private guide out front a cafe just steps away from the world famous Louvre Museum, housed within the largest palace in all of Europe. With an astonishingly rich collection of art ranging from Ancient Greece all the way to the 19th century, the Louvre is arguably unmatched. Witness Da Vinci's timeless The Mona Lisa, the statues of Venus de Milo and the Winged Victory of Samothrace, both over 2,000 years old dating back to ancient Greece, and the 4,600-year-old Great Sphinx of Tanis, a relic of the Egyptians. See Eugene Delacroix's iconic 17th century Liberty Leading the People representing victory by the people in the French Revolution, and check out the original Code of Hammurabi, a legal code depicted on a black basalt tablet shaped like an index finger, which dates back to a time just under 4,000 years ago. 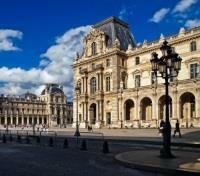 Bear witness to incredible history at the Louvre. Return to your hotel independently.